SAN FRANCISCO, CA – A new report by Consumers Union, the policy and advocacy arm of Consumer Reports, released today points to the importance of a strong, coordinated consumer health insurance complaint system. The report, “Canary in the Coal Mine: Consumer Health Plan Complaints as Early Warning System,” examines the current complaints systems in California and how they could be improved to both better help consumers and expose problems that need to be addressed by policymakers. The report highlights the fact that although insurers’ denials of coverage are often overturned when consumers do bring their problems to regulators, the overwhelming majority of California consumers do not know that they can complain to a state agency for help. The report points out the need to widely publicize the state agencies that handle health plan complaints, and to standardize and update current complaint categories in light of the Affordable Care Act and related state legislation. 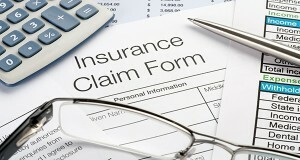 A 2015 survey of privately insured Californians by the Consumer Reports National Research Center found that most consumers (85 percent) did not know which state agency or department is tasked with handling complaints about health insurance, and two-thirds of survey respondents were unsure if Californians had the right to appeal to the state or an independent medical expert if their health plan refused coverage for medical services they think they need, though the right to “Independent Medical Review” has been the law since 2001. The report findings make the case for SB 1135, a new bill introduced by Senator Bill Monning, which would require the regulators’ toll-free number and web address for complaints be included on the card used to show proof of coverage for both commercial and Medi-Cal plans. Consumers Union also has an online tool to help consumers with health insurance complaints. Consumers can go to ConsumersUnion.org/Insurance-Complaint-Tool to find California- specific resources and information.